We analyze the distribution centre fee amount for clients who are considering transferring part of the distribution to their customers. Over the years our clients have requested such analysis from us many times. Therefore we have developed an accurate functional analysis methodology. The outputs of analysis are delivered to our clients in a form of interactive tool so that they can model possible future scenarios. To ship goods to customer´s central warehouse and leave distribution to points of sale up to him is undoubtedly a great way to simplify daily logistics operations. But does it always pay off? Certainly not. The key to successful implementation of customer´s DC in the distribution netwwork is an appropriate amount of the fee which the client will pay to the customer for using his DC. An in-depth analysis of the conditions under which a switch to a customer’s DC pays off is needed. It serves as the basis for negotiating with the customer and ensures that the final agreement is beneficial for the company. 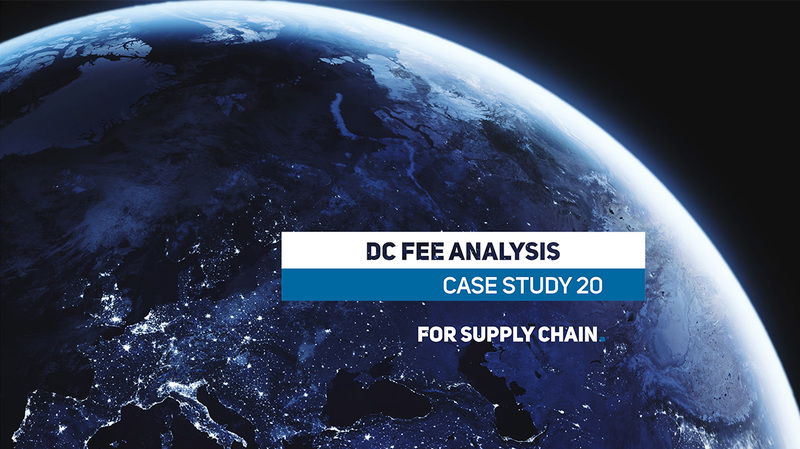 First we analyze the past logistics costs of the customer whose DC should be used. Usually, we work with data from at least 12 months. However, the length of the analyzed period may vary according to the client’s wishes. We analyze the data by logistics channels and by segments of goods. This enables us to model various scenarios of impacts on logistics costs in subsequent steps of the analysis. We can model, for example, the transfer of the distribution of all segments of goods to the customer’s distribution centre versus the transfer of only a segment of the goods, the transfer only in a certain period of the year and so on. The result of the analysis is an interactive tool. The user of this tool sets the amount of the fee and can see exactly what financial impact the amount of the fee would have. The tool also displays how much the client can save on logistics costs with a specific fee amount. The person leading the price negotiations with a customer thus has clear numbers at his/her disposal. As part of a logistics network study we can analyze client’s distribution network and find out which customers could be worth negotiating about using their distribution centers for a fee. 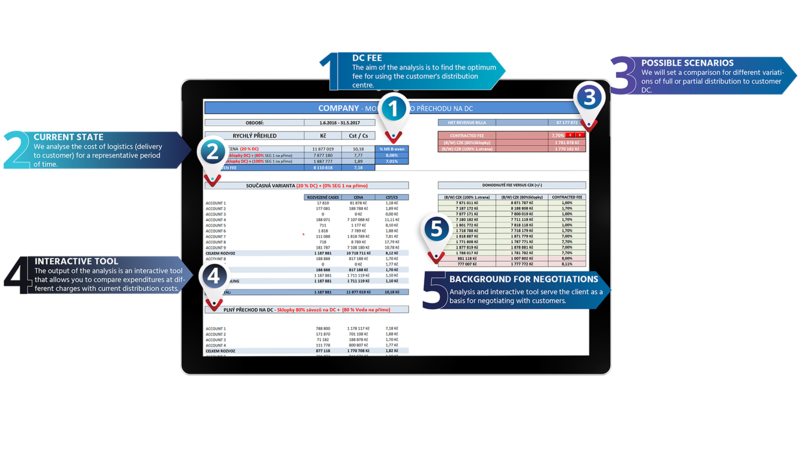 For clients who use DCs of multiple customers we can create and service a tool for management of DC fee.